EZContactsUSA is your one stop shop for contact lenses and authentic designer sunglasses. They offer incredible brands that, as consumers, we know, trust, and love. In the past, I have been more interested in quantity over quality. My husband is the complete opposite and has taught me that by spending a little extra money, your favorite things can last a lifetime. 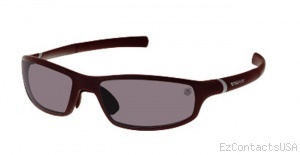 For this reason, I was thrilled to have the opportunity to receive and review my first pair of designer sunglasses. 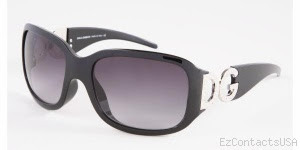 And my husband loves these Tag Heuer Sunglasses. I received a pair of Kate Spade sunglasses for the purpose of this review. I chose the Kate Spade Bernie style because I liked the extra large frames and fun side detail. While originally priced at $144.00, you can purchase this pair for only $98.99 at EZ Contacts. 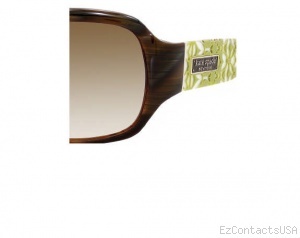 These sunglasses come with an adorable lime green hard case and wipe for cleaning. The quality of this pair of sunglasses is superior to any other pair I have ever owned. I noticed immediately when I put them on my face that the plastic was strong and the glasses were all together very well made. I love the lime green side detail that really make these sunglasses feel special and part of Kate Spade's feminine line. I also really love the fit of these glasses. They are tight, but not uncomfortable. I hate having to constantly push my glasses back on my nose, but these stay perfectly in place. My husband received a pair of Ray Ban sunglasses. 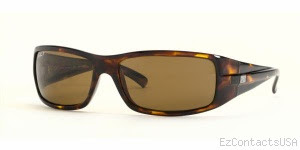 He chose the Ray-Ban 4057/Polarized style which usually sales for $179.9, but is on sale at EZContactsUSA for $116.85! That is 35% off the original price! Because my husband was so impressed with the quality and the unbeatable prices EZ Contacts offers, he actually purchased a second pair in black. He loves that pair equally as much. My husband wears his sunglasses every single day. He wears them running and golfing and loves that they are comfortable to wear and to move around his face while he is in motion. He has been beyond impressed with how well these glasses protect his eyes from the sun and the extreme high quality. He feels wearing polarized sunglasses really makes a difference. 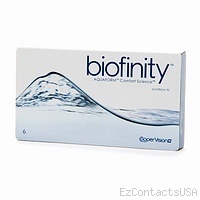 Biofinity contact lenses, and many more brands that your optometrist recommends and that you love and feel comfortable wearing. Make sure to check out EZContactsUSA huge selection of contact lenses and sunglasses. Use the code "formeandyou5" to get an additional 5% off any order of $50 or more! AND they offer free shipping on any orders over $100! EZContactsUSA has generously offered one of our very lucky readers a 6 month supply of contact lenses (up to $200 value). Visit EZContactsUSA and then come back here and let us know which brand of contact lenses you would choose or a pair of sunglasses that you love. 3 Entries: Post about this contest with a link back to our blog AND a link to EZContactsUSA (Leave a link back to your post in your comment). Good luck! Contest ends on April 27th at midnight. Winner will be announced April 28th. We are not compensated for our reviews. 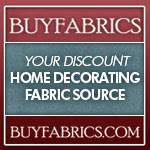 We receive product(s) for free so we can provide our experience. These are our honest opinions. Your experience may vary. I would choose the Acuvue 2 contacts! I would definitely choose the acuvue Oasys! I would go with Acuvue 2 or Acuvue Oasis. Thanks for the giveaway. I would go for Acuvue 2! I am a friend on facebook and updated my status with a link to this giveaway. I would chose Air Optix Multifocal lenses! I just started wearing them a week ago and love them! I'm still getting use to them, but I haven't picked up a pair of readers all week...granny glasses are gone! Facebook friend (Cindy Brooks)and shared this giveaway! I would pick the Soflens Dailies. 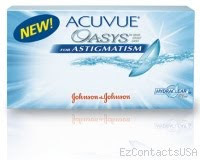 I wear Acuvue Oasis and I just purchased a box from them last night! I normally buy from Lens.com but EZContactsUSA was $6 cheaper with shipping! New Subscriber Via Google Reader! I would go for the coach analise. So cute! Facebook fan and updated status. I'd get the Acuvue 2 contacts for my husband. I like the Acuvue Advance. I also wear the Acuvue 2. These sunglasses are really cute. I like the DG glasses the best. Cool Post! Very informative dude. I saw this site while browsing and think it may be relevant http://www.wholesalesunglass.com/ . Keep up the good work! Thanks for this nice post, I am crazy for designer sunglasses.It give a stylist look. 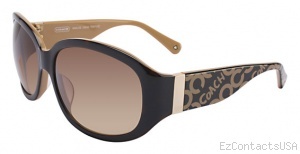 Hate to burst everyone's bubble but EZContactsUSA.com sells COUNTERFEIT designer sunglasses! That's why their cheaper! I promise you! I can show you pictures of my Ray Bans. Look at your case -- is it ETCHED in gold or painted on? If it's painted, it's fake! Also, is LUXOTTICA spelled in plain English or is the "u" small and the "A" really any upside down "V"? And does the box have a sticker on it? Fake. The glasses themselves had multiple problems, too. They deny everything when I called but I reported it to the BBB of NYC and disputed the expense with my bank. 100% FAKE! 100% FRAUDULENT BUSINESS! Yeah right! They have the worst customer service EVER if you can get through without reaching their old fashion voice mail box! Also, it will be taking three weeks for my glasses that were supposed to be here in 5 days!